Enjoy two 235m zip wires with views over Dartmoor National Park. 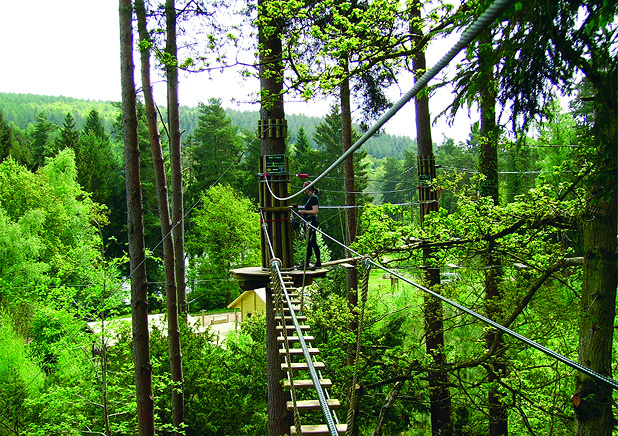 Go Ape’s first foray in the South West. One of Devon’s best days out: Drive just 15 minutes from Exeter and you’ll experience two incredible 235m zip slides flying you from hilltop to hilltop. Enjoy new heights at our Haldon adventure, taking in panoramic views as you go. Plus there’s something for everyone to enjoy in the forest after your tree-time. Whether you want to monkey around on a bike or walk your way round the woods, you’ll have a great day out.